As you may have seen online, this week marked 100 years of women getting the vote. My heart was felt so full seeing the celebrations and acknowledgement of women who fought the good fight. I’m beyond grateful to the men and women who have fought so hard for equality and those who are still fighting for it. I’m a huge advocate of feminism and equality, it’s a cause very close to my heart. I love celebrating and standing in solidarity with women. While this anniversary marked a huge step forward in gender equality in the UK, it doesn’t actually mark ALL women getting the vote – only women over 30 who owned land or were married to a man with property were eligible. It wasn’t until a decade later that all women were granted equal voting rights. This just one example of the inequality within feminism and how biased it has been towards white, middle-class women. As a woman of colour, the concept of intersectionality is super important to me. Intersectionality is essentially understanding an issue as multifaceted and being inclusive of race, gender, class, ability and ethnicity. So while we celebrate 100 years of some women getting the vote, let’s not forget that working-class and women of colour were excluded from this. 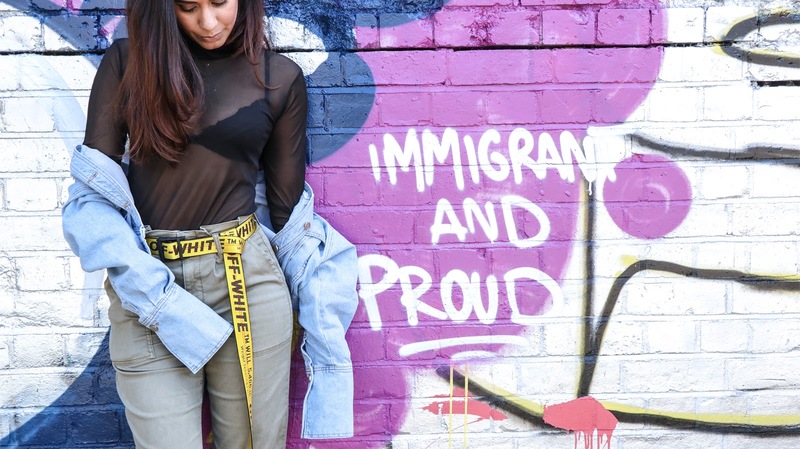 Of course, the likes of Emmeline Pankhurst, Emily Davidson and Millicent Fawcett made huge contributions to the suffragette movement and are rightly celebrated but what about working-class women and women of colour? Have you heard of Sophia Duldeep Singh? She is the most prominent woman of Indian heritage in the suffragette movement and has been largely ignored by the media. Sophia was involved in the women’s Tax Resistance League and shared the view that women shouldn’t pay taxes as they didn’t have the vote. She also led the 1920 Black Friday suffragette demonstrations alongside Emmeline Pankhurst. Another important but often ignored Indian woman is Bhikaji Cama, who started campaigning as a suffragette in London and also fought for Indian independence from British rule – she became known as The Mother of the Indian Revolution due to her efforts to free India. She spoke out about poverty and oppression under the British Raj and even designed the first Indian flag. Sadly she passed away 11 years before Indian finally achieved independence in 1947. Why are these women not equally celebrated? The lack of women of colour within the suffragette movement is rooted in the ideas of imperialism, colonialism and the objectification of women of colour – British suffragette campaigners simply didn’t think of including women of colour into the conversation. 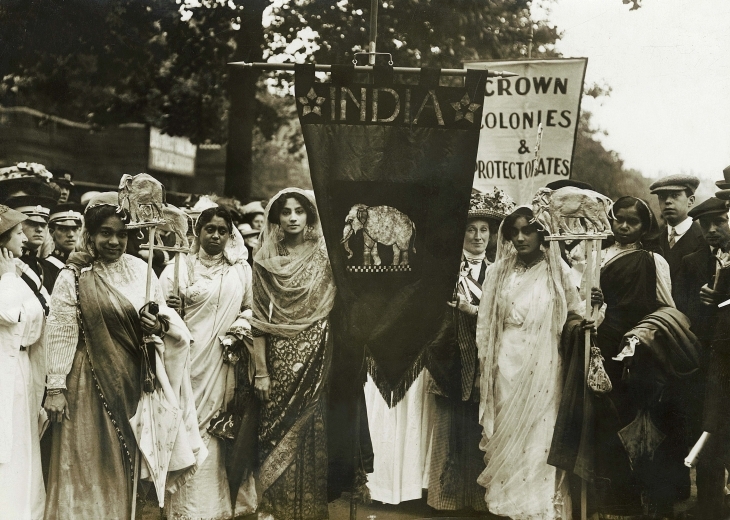 The below image of Indian women taking part in a suffragette procession is super important – although these women were living in Britain with their families, they were in an ‘Empire section’ of the procession alongside Australian and New Zealand women. Times have obviously changed but despite diversity being a huge buzzword for the last couple of years, British Asian women’s voices are still rarely heard. In the past, I’ve been vocal about issues to race and particularly representation for South Asian women. It’s a cause I’m very passionate about, particularly as we tend to be written out of the narrative so frequently. I’m so happy to lend my voice to speak about my experiences as a British Asian and particularly women so I was thrilled to be asked by the BBC Asian Network to take part in a campaign to talk about the issues faced by British Asian women today and also share what I’m grateful for. Here’s a snippet of the show, it coincided with a larger programme which you can listen to here.